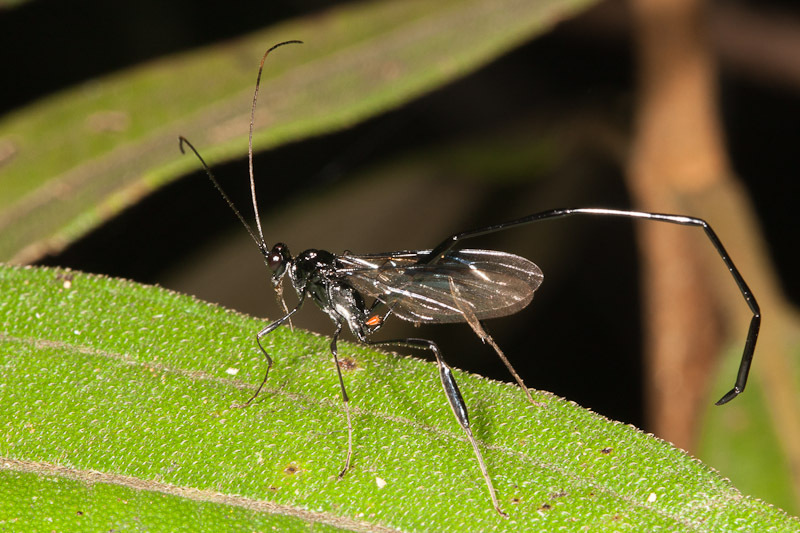 Wasps in the family Pelecinidae are distinctive and easily recognized by that long thin abdomen. I’ve see them closer to home as well, but I can’t recall if I’ve ever gotten a decent photo. I do remember chasing after quite a few in vain or watching as one teased me from someplace just out of reach. I got lucky with this one. What I thought was a red marking turns out to be a small mite.